Talk about SEO, and the first thing that you will think about is link building. Right? Obviously, as ranking in the search engines is based on the backlinks. So, what do you think is the best way to attain your SEO link building? Well, the blog explores different techniques that can be used for SEO link building. When it comes to content, you will want people to share your content on the social profiles. For this, you are supposed to acquire more organic shares. 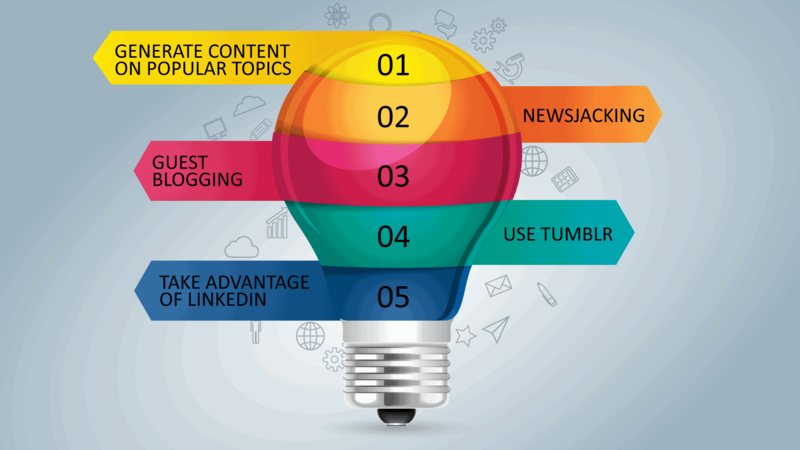 All you need to do is focus on the trending topics and try to create them in an interesting way. Let people find it engrossing enough to share on different social profiles. What if you create a buzz among your friends or followers? Yes! It will work! Just look for the breaking news and put your ideas into it. Such type of content actually appeals people and anyone who comes across the content will share it further. Do you find guest blogging unworthy as it doesn’t pays? Well, the benefit lies not in the money, but in the back links. You are advised to write about similar types of blogs. That being said, you need to include the blogs that discuss about the same topics as yours. This is due to the reason that Google likes back links from the same place. So, go ahead and write the guest posts that you or your competitor follows. Create a Tumblr blog and use it for posting and sharing your blog links in it. Writing articles and including hyperlinks to your website would prove beneficial to you. However, make a point not to copy the articles into your Tumblr blog. Make sure to follow other blogs as the process of following them again would be beneficial. It’s a professional social network which is being used by people to promote content sharing. Use LinkedIn’s publishing platform Pulse in order to publish your article ad incorporate hyperlinks to your website or blog. Join number of similar groups and do share the links of your website in those groups. Obviously, users with similar kind of interest will take interest in reading your articles. Though people usually use Facebook and Twitter for SEO link building, using other significant networks can do wonders for them. Mamsys, a digital marketing company in India, tends to use all the latest techniques in order to make your SEO link building successful.